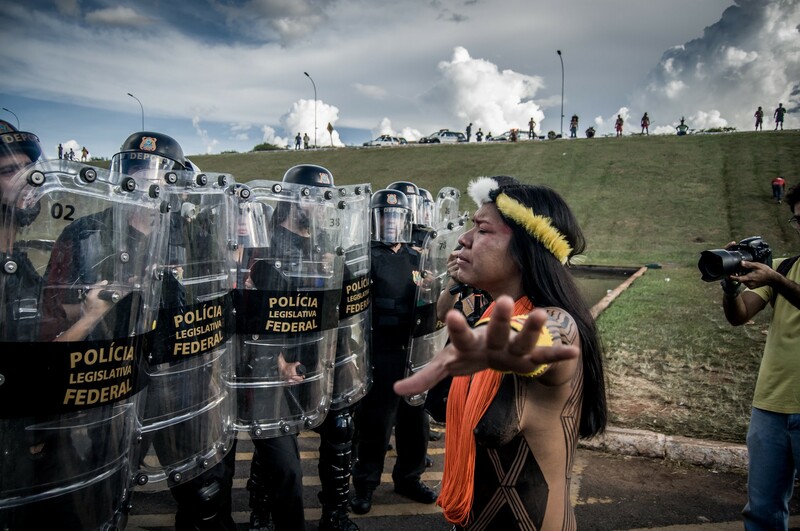 Just days after police suppressed a peaceful protest for land rights, Indigenous Peoples in Brazil face further violence. 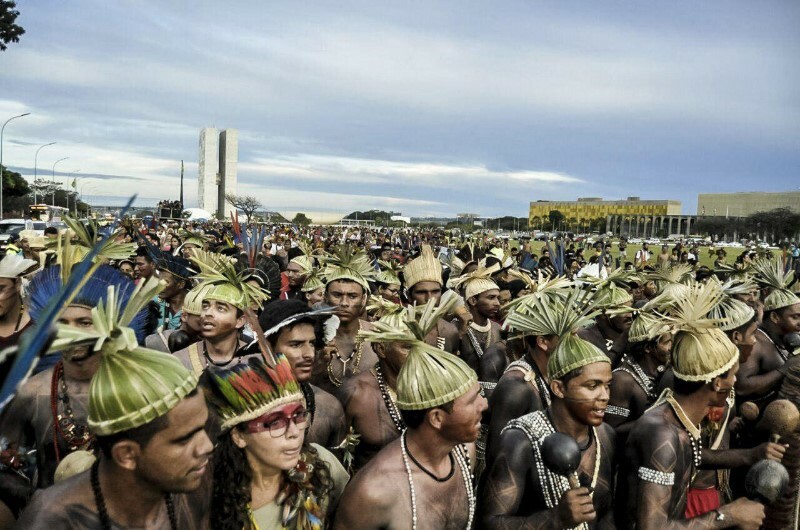 In Brazil last Sunday, a group of farmers viciously attacked a nearby Indigenous community. Thirteen Indigenous People were wounded. Two men had limbs hacked off with a machete. This kind of violence may seem unthinkable, but it is becoming the rule in the Brazilian Amazon. Each year, dozens of Indigenous People are injured or killed in conflicts with farmers and ranchers over land. 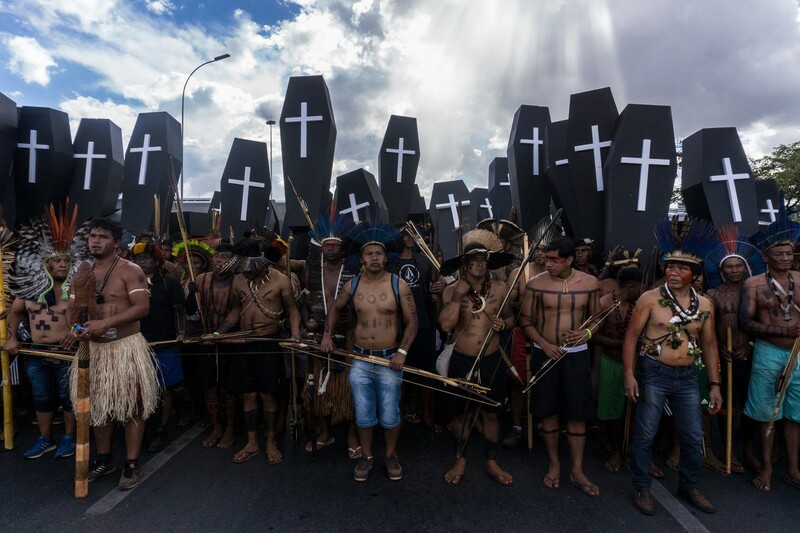 Last week, about three thousand Indigenous Peoples carried hundreds of black coffins to the National Congress in the capital of Brazil, Brasília, to protest the rising violence and to demand rights to their ancestral lands. The protest was peaceful, but police met the crowd with rubber bullets and gas bombs. The Brazilian government is enabling and perpetuating violence against Indigenous Peoples, and it doesn’t stop with police brutality. In rural areas, local authorities take little action — sometimes none — to apprehend land-grabbers who often start conflicts. 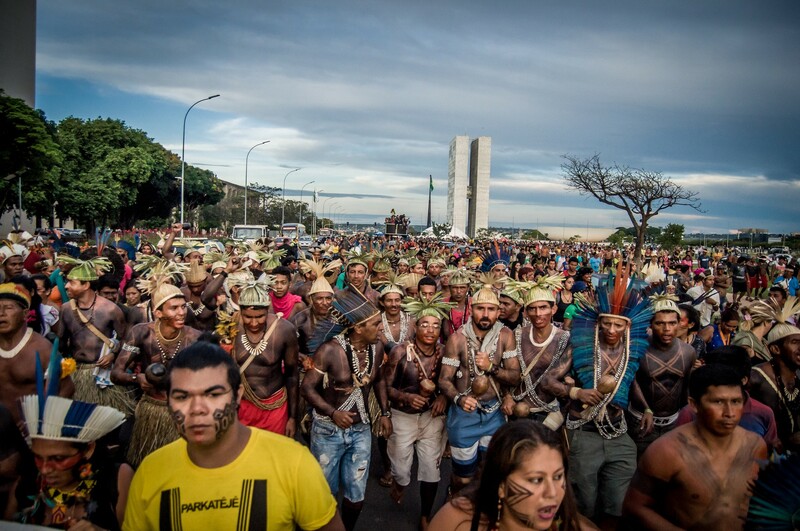 Meanwhile, the aggressive agribusiness lobby in Brazil’s Congress is working to weaken or end the process giving Indigenous communities control of their lands. The state’s attacks against peaceful protestors are unconscionable and unacceptable, and the wave of violence in rural areas of Brazil is a suppression of fundamental human rights. 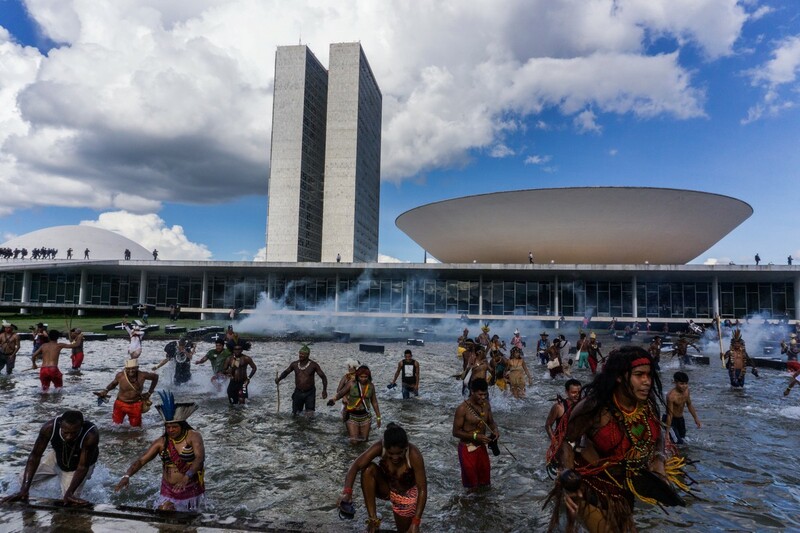 Indigenous Peoples are fighting for their rights and their land in Brazil and all around the world—and they continue to be met with violence. It is up to all of us to demand justice and stand in solidarity with Indigenous Peoples. Start now. Take action and add your name to stand with the Munduruku People of the Brazilian Amazon in their fight to protect their traditional lands. Dawn Bickett is a Content Editor for the Americas at Greenpeace USA.